We are surrounded by color, and we largely take it for granted. Each color, hue, tint, and shade has characteristics that affect our physical, emotional, and spiritual lives. Learn how to use color knowledge to enhance every aspect of your life, from health to relationships. This book provides a full spectrum of information from the practical to the spiritual. Find out how to decorate with color to create specific moods. Learn how to dress for success and interpret others� personalities by the colors they wear. Improve your health by using colored lights and color-based meditations and visualizations and eating foods of a certain color. 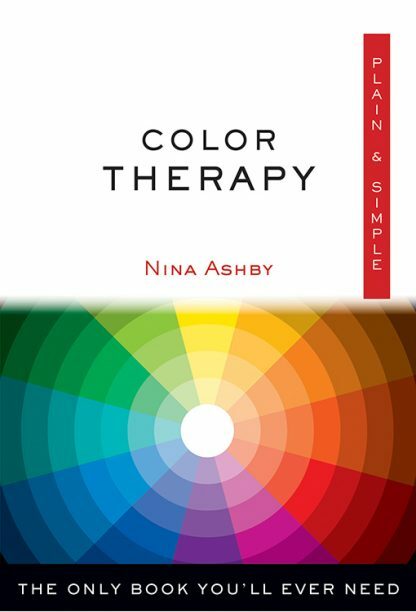 The author provides information on each color of the spectrum and discusses color in relation to astrology, the chakras, the aura, and divination. Exercises for healing with color are also provided. Nina Ashby has trained in the art and science of perception, spiritual philosophy, various forms of bodywork and energy healing, art, psychology, yoga, meditation, astrology, palmistry, dowsing, cards, and psychic studies. She lives in England.